Views of Zapf and Stauffacher. This sequence of images shows the book from various aspects. The left-hand image shows the front cover, the right-hand the back cover. 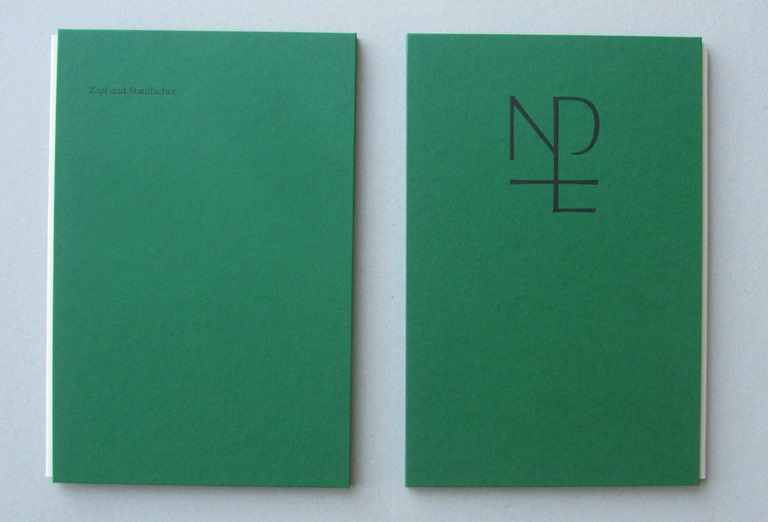 The logo is that designed by Zapf for the New Laboratory Press.